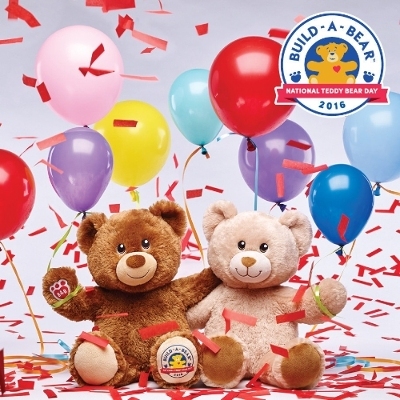 In the spirit of the brand's mission to "add a little more heart to life," for every $5 bear purchased on Sept. 9, Build-A-Bear will donate a furry friend to one of three charitable organizations: Toys for Tots in the United States, up to 30,000 furry friends; Boys and Girls Clubs of Canada in Canada, up to 1,000 furry friends; and Childhood First, along with other children's charities, in the United Kingdom, up to 6,000 furry friends. I don't think I am the only person out there who has already altered her plans for the day, am I? In November 1902, President Theodore Roosevelt and some of his friends went on a hunting trip to Mississippi. After hours of searching, Roosevelt and his group had not come across any wild animals. Finally, the group did track down and surrounded a helpless bear. One of the guides asked the president to shoot the bear so he could win a hunting trophy. The president refused, and news reporters throughout the country spread the story of Roosevelt's kind act. Not long after this took place, a famous cartoonist named Clifford Berryman drew a cartoon based on Roosevelt 's rescue of the bear. When a store owner in Brooklyn saw the cartoon, he decided to make toy bears to sell in his shop. He asked president Roosevelt for permission to use the name “"Teddy's Bear"” for his toys, as a reminder of the bear Roosevelt had set free. Nowadays, everyone knows these toys as Teddy Bears, but few people know that they were named after President Theodore “"Teddy"” Roosevelt. 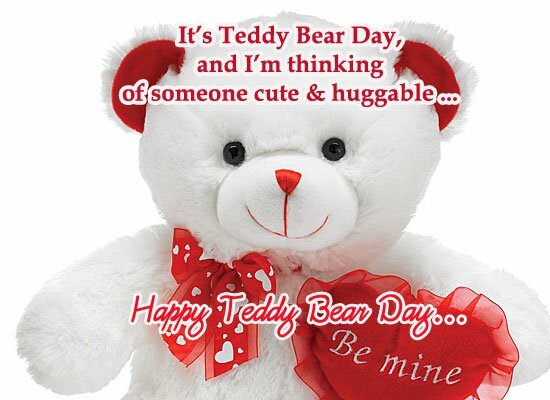 Today is Teddy Bear Day. A Teddy Bear is a special friend to children all over the world. He's cuddly. He makes you feel secure in an otherwise insecure world. He's lovable. Your Teddy Bear is both a companion and a comforter. And, he's not afraid of the dark. He'll keep you safe. Spend the day and night with your teddy bear. Cuddle up to him. Talk to him. And, do all of your favorite things together. Color a Teddy Bear. 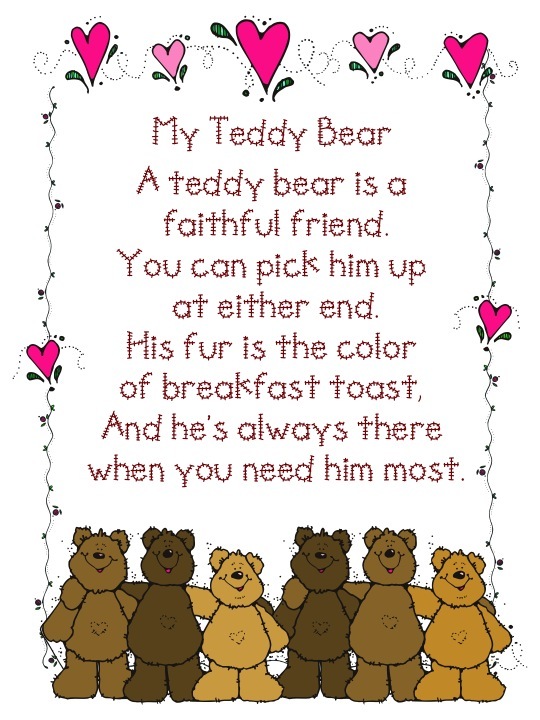 There are tons of free Teddy Bear printables online. Make your very own Teddy Bear. Choose from simple kits and patterns to more advanced kits and patterns. This is a great way to introduce sewing and toy making to kids. Donate to Teddy Bears for Kids. Pediatric patients receive Teddy Bears from your monetary donations. Share the legend of the first Teddy Bear with a child. Helen Kay's book "The Very First Teddy Bear" tells the story of how President Theodore Roosevelt inspired the American Teddy Bear and how Rose Mitchom made the first toy "Teddy's Bear". How the Teddy Bear Picnic Started. is celebrated September 9, 2016 this year. The year 2002 marked the 100th anniversary of the political cartoon that sparked the creation of the Teddy Bear. 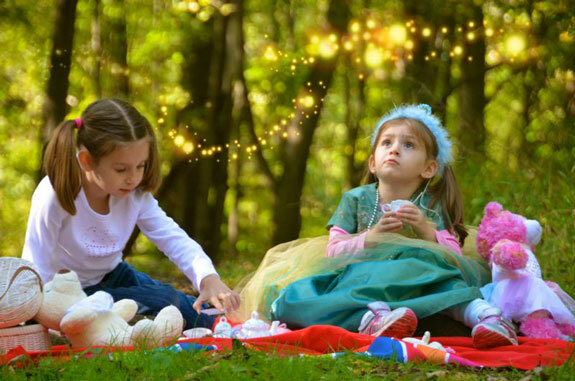 is the namesake of our annual winter children’s event – The Teddy Bear Tea. History is made -- a Brooklyn shopkeeper, Morris Michtom sells the world's first 'Teddy's Bear' in his shop in November 1902. In March 1903, as many as 3000 stuffed bear toys are shipped across to America by the Steiff Company in Germany. Bear toys were called 'Bruins' in those days. The first advertisement for Bruins appeared in the American toy trade magazine Playthings in May 1906. That same year in November, the words 'Teddy Bear' featured for the very first time in another advertisement in Playthings by American manufacturer E.J. Horsman. "Teddy Bear" was one of the first illustrated books based on these popular soft toys, written by Alice Scott. In 1908, the J.K. Farnell company started manufacturing the first British teddies. The firm was originally founded in London's Notting Hill as a silk merchant and first produced tea cossies and pin cushions. But, it is believed that their Alpha bear of 1925 was the inspiration the creation of Winnie the Pooh. In 1909, the first animated teddy cartoon "Little Johnny and the Teddy Bears" appeared in USA. In 1912, as the world received news of the sinking of the Titanic on her maiden voyage with shocked disbelief, the German soft toy company run by Steiff created a black bear to give as mourning gifts for all those who lost loved ones on the Titanic. One of the most famous and loved bears of all times, Winnie-the-Pooh made its appearance when the first edition of Winnie-the-Pooh was published A.A. Milne in 1926. In 1944, even as forest fires caused havoc across the USA, Smokey Bear was adopted as the mascot of the United States Forest Fire Prevention Campaign. 1958 saw another immensely loved and popular bear, Paddington Bear, appear on the scene for the first time. The first Paddington story, A Bear Called Paddington, by Michael Bond was published this year. In a significant development, Walt Disney acquired the rights to Winnie-the-Pooh in 1959. Colonel Bob Henderson launches The Teddy Bear Club in 1962. The first animated film on Winnie-the-Pooh is produced by Walt Disney in 1975. It instantly became a classic. Some Teddy Bear Day facts found here. Looking for a way to share the joy and hope of Christ with other children? Consider adding a small teddy bear to your Operation Christmas Child shoebox. 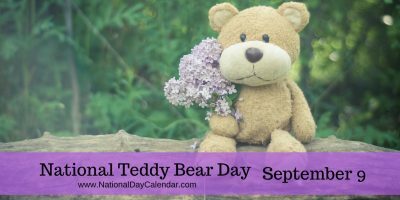 Remember your teddy bear and use #NationalTeddyBearDay to post on social media. Parents and adults: No child should grow up without a teddy bear. If you know of any kid without one, use this day to buy a teddy bear for them. As we become adults, some find it difficult to give up our teddy bears. We feel there is no reason to give him up. Some adults have their teddy bears around all their lives. Its perfectly normal....and okay.